We are very pleased to have established recently a new long-term agreement with the University of London which provides a secure home for the Library, but with higher costs. 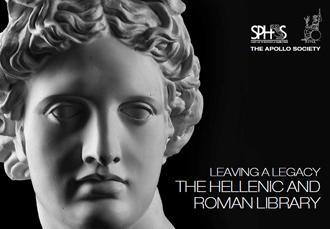 The Societies also established in 2014 a new charitable company, the Hellenic and Roman Library (HARL), in order to manage their participation in the Library, and to ensure long-term security. HARL is responsible for paying the Societies’ proportion of the operating costs, which includes the cost of employing the librarians. HARL has recently launched a fundraising campaign in order to meet these rising costs, and to maintain and enhance the Library as part of a world class research facility for future generations, to equip it to meet the challenges of research in the digital age and to adapt to future changes, and to provide scholarships for students and teachers to visit and benefit from the Library’s collections. Making a monthly or annual donation Download a brochure and return the response and direct debit form by post. Leaving a Legacy Download a brochure and if you would like to let us know you have remembered us in your will, please return the response form. US donors may also use the British Schools and Universities Foundation (http://www.bsuf.org) to make a donation. The BSUF website gives full instructions. 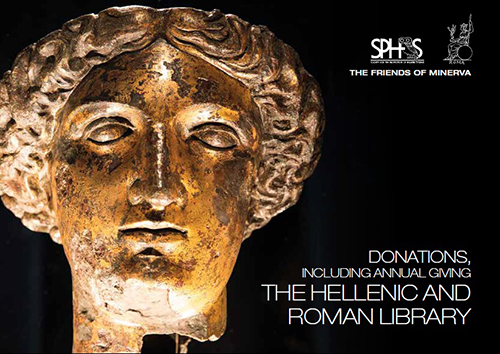 Donations may easily be made online (enter the Hellenic and Roman Library when asked for the institution) or by cheque (again please specify the Hellenic and Roman Library). Gifts of £1000+ a year entitle you to annual membership of the Friends of Minerva. Those who let us know they intend to leave a legacy will be invited to join the Apollo Society. Members of both will receive invitations to an annual reception and other special events. Listen to more of our well-known readers here.